Nigeria is a natural location for a variety of industrial activities due to the availability of natural resources, affordable labour cost and large market. Its manufacturing sector is reemerging due largely to the improving performance of the consumer and household goods industries. It produces a large proportion of goods and services for the West African subcontinent. The industry sector contributes an annual average of 23% of the GDP. The major activities include oil & gas (9%), manufacturing (7%), and construction (5%). The sector is strategic to government’s objective of diversifying the economy in line with the Economic Recovery & Growth Plan. Oil, natural gas and other oil and gas related products account for 90% of the total export volume and more than 80% of the government revenues. The country produces a daily average of 2.5 million barrels of crude oil which ranks it as the largest African producer and the 6th in the world. In terms of oil export volumes, the country ranks 8th in the world.Nigeria equally has the largest natural gas reserves in Africa and ranks seventh in the world. It is eager to capitalize on this important resource after many years of flaring from oil fields. The country has attained an annual average production of about 2,000 billion standard cubic feet (BSCF) of natural gas; of which about 70% is utilized while 30% is still being flared annually.Towards ensuring zero percent gas flaring, the Federal Government has embarked on comprehensive and integrated gas utilization master plan/programmes which includes the development of Liquefied Natural Gas (LNG) plants and Independent Power Plants (IPP). Consequently, domestic gas consumption has continued to expand. Major gas grid infrastructure is being built to enable flexible delivery structure of high-quality gas across major industrial plants and homes.The state-owned Nigerian National Petroleum Corporation (NNPC) accounts for more than 50% of oil production and over 40% of gas supply. The local refining capacity is put at 24%. This creates a huge gap between the demand for refined petroleum products and local supply. Towards bridging this gap, the downstream industry has been opened to private sector participation.The Nigerian oil & gas sector is regulated by the Department of Petroleum Resources (DPR). The country is a member of the Organization of Petroleum Exporting Countries (OPEC). Major international oil companies (IOC) currently operating in the country include, but not limited to: Total, Chevron, ExxonMobil, Elf, Shell, ConocoPhillips and Eni. The manufacturing sub-sector has been growing in recent times in direct response to various interventions/programmes implemented by government. 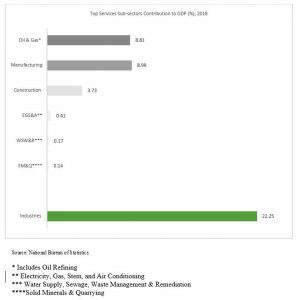 The sub-sector’s capacity utilization has grown from an average of 35% in the 1990s to an average of 54% in the last five years. 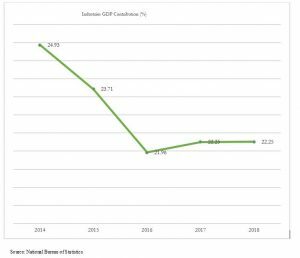 Its contribution to national GDP has also grown steadily to an annual average of 9% in the same period. Lagos and its surroundings are home to about 60% of Nigeria’s industrial activities. Other key industrial centres are Kano, Aba, Ibadan and Kaduna. Nigeria’s most important manufacturing industries include beverages, cement, food processing, textiles and detergents. The cement industry has grown to be an important activity in the economy with Nigeria becoming home to the world’s largest emerging cement companies. The industry is largely dominated by two firms controlling over 80% of the domestic market – Dangote Cement and Lafarge WAPCO Cement Plc. The demand for cement is seasonal in nature, and it is expected to continue to grow most especially as there exists a huge housing deficit and the increasing demand to use cement in road construction.The industry’s prospects for growth has attracted investments from both domestic investors as well as foreign multinational companies. While the foreign investors are acquiring existing investments, domestic investors such as Dangote Group and BUA Group have complemented existing capacity by establishing new plants. Over the last five year, there has been aggressive drive towards the modernization and expansion of cement plants which have seen the capacity of the industry multiplied, currently at over 45million tones, and efficiency improved. With this in progress, the industry is expected to begin export to neighbouring West African markets by the end of 2019 putting Nigeria on the brink of meeting its target of local demand and making the country a net exporter of cement. The textile garment and footwear industry accounts for about 2% of the national GDP. The textile industry was once ranked as the second largest in Africa after Egypt’s with over 250 factories operating above 50% installed capacity. At its peak, the industry averaged an annual growth of 67%, and employed about 25% of the workforce in the manufacturing sub-sector, fed by locally grown cotton.The industry is currently estimated to be able to produce about 1.4 billion different pieces of textile products. With huge demand for clothing by a fast-growing population, the industry has been unable to meet domestic demand for African prints, shirting, bed sheets, furnishing fabrics towels, embroidery lace, garments, table and bed linen, guinea brocades, wax prints, java prints, jutes, fishing nets, among many other textile products.Nigeria is noted to produce cotton, silk and other fibers, which are primary materials for the textile industries. On annual basis, area under cotton cultivation is about 0.2-0.6 million hectares, largely in the Savannah areas of the country. Annual production is in the range of 300,000 tons of seed cotton or 110,000 tons of lint (about 607,735 bales of cotton lint) and 400,000 tons of seed cotton. Production is dominated by small scale farmers, with farm sizes ranging from 3-5 hectares all under rainfed ecologies. Seed cotton yield ranges from 0.6 to 1.5 tons per hectare. About 98% of the crop is grown to Gossypium hirsutum, while the balance is grown with G. barbadense.There is however a dearth of cotton milling factories in the country resulting in the exportation of these raw cotton. The implication of this is that the textile industry in country now relies on imported processed raw materials.Although the textile industry might have lost some of its prominence, the potential of being a leader on the continent is still apparent. To this end, several initiatives, such as the N100bn Textile and Garment (CTG) Intervention Fund managed and disbursed by the Bank of Industry (BOI), are in place to revamp the industry and safe guard it from extraneous factors. The food processing industry is another vastly developing industry in the Nigerian manufacturing sub-sector. The industry has grown at an average of 3% over the last 5 years contributing an annual average of 4% to the GDP, employing about 5% of the local workforce. Although, the industry is composed of mainly small and medium enterprises, there is a consistent upsurge of new entrants of multinational food companies and an aggressive expansion of existing operations geared to meet the demand of the local market. This has been motivated by the apparent expansion of the middle-class armed with rising incomes and growing awareness for food safety and dietary quality prompting demand for low-carbohydrate, low-fat, and even sugar-free food and beverages.Some of the new investments on the horizon includes Dangote Group’s $800 million investment in dairy production, consortium of Vicampro Farm, BlackPace and Kiremko planned investment in potato processing factory in Plateau and Kaduna expected to cost about US $ 45 million with a processing capacity of 30,000 to 40,000 tons, the plant will be the largest in West Africa, and a host of large bakeries, biscuit and waffle factories are increasingly being built. These investments would complement existing investments by Cadbury Nigeria, Unilever Nigeria, De-United Foods Industries, FrieslandCampina WAMCO Nigeria, and many more.Despite the increasing investments by local processors and continued upsurge of multinational companies into the industry, bulk of the intermediate and processed inputs utilized are still imported. The increasing importation of food, beverage and packaging technology, 15% in 2017 alone, there is an air of relief that most of these imports would be soon be available locally, more so that the basic raw materials, agricultural produce such as cocoa, peanuts, palm oil, corn, rice, sorghum, millet, cassava, yams, rubber, cattle, fish among many others, are available locally. Nigeria has the second largest beer industry in Africa, next to South Africa. Despite the global downturn in beer consumption, Nigeria’s market continues to thrive. The industry is expected to continue to grow at about 23% over the next few years remaining a vital component of the manufacturing sector of Nigeria.The landscape of the industry is dotted by major multinational brewing companies jostling for position in the domestic brewing market. The market is regional in nature with local brands holding sway in their respective regions. 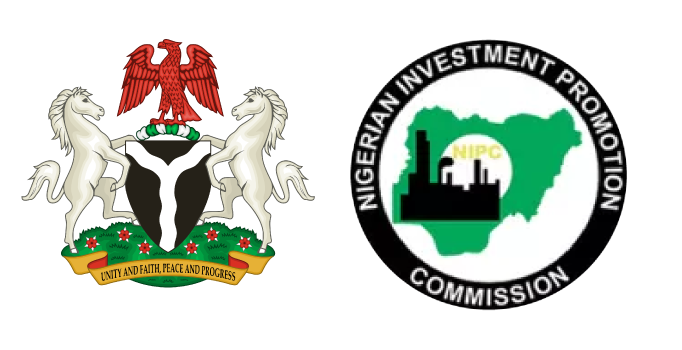 At the national level, the industry has moved from being a duopoly market to an oligopoly one with Nigerian Breweries Plc (NB Plc) 61%, Guinness Nigeria 27%, and Consolidated Breweries 10% being the major market shareholders. South African Breweries Miller (SABM), a more recent entrant to the market, continues to grow its influence in the market.NB Plc, one of the local subsidiaries of the global brand Heineken, has the largest capacity and coverage, with about 8 breweries located across the country and estimated to have total annual capacity of 13.5mn hl. Guinness, owned by Diageo, operates 4 breweries with an estimated total annual of 7.5mn hl. SABM has an estimated capacity of 1.8mn hl built mainly through the acquisition of Pabod Breweries in Port Harcourt, International Breweries in Ilesa and Onitsha in a strategic drive to control regional markets. Despite this capacity coupled with other smaller plants, there is still a gap demand of about 53m hl due largely to the growing population with its attendant vibrant youth and growing middle class. the preferred source for supplying low and medium-technology consumer and industrial goods domestically and regionally. Government is not unaware of the major challenges inhibiting the growth and development of the manufacturing industry; there is a huge commitment to ensuring that Nigeria generates a minimum of 10,000MW of power and ensure effective distribution of this power before the end 2023. Government is also committed to removing all non-fiscal barriers to investment and ensuring a competitive business environment that would promote free entry and exit of investors irrespective of nationality. Zero Import Duty: Zero percent import duty tariffs (custom, excise and value added) for import of agricultural equipment and agro-processing equipment. Exemption of interest from tax on loans granted to agricultural activities. Avoidance of double taxation agreement which eliminates double taxation with respect on income and capital gains. Investment promotion and protection agreement provides reciprocal baseline protections for investments. Nigeria qualifies for the Africa Growth and Opportunity Act (AGOA). For more information, please refer to the Compendium of Investment Incentives in Nigeria. Supportive government policy that is geared towards industrialization.